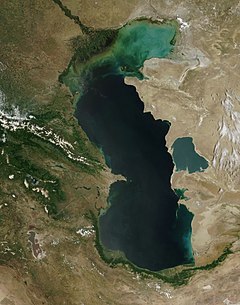 ↑ "Caspian Sea". Iran Gazette. http://web.archive.org/web/20090122212158/http://irangazette.com/12.html. Retrieved 2010-05-17. This page was last changed on 6 July 2014, at 20:44.